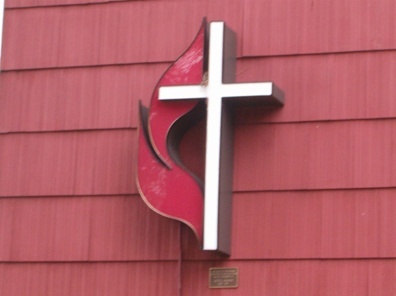 The Sayville United Methodist Church is an active, community-minded church with a healthy and diverse congregation of many ages and stages of faith. We are perhaps best known for our often-amusing signs on Main Street and our annual Clamfest. Our worship style is blended, borrowing from both historical and modern traditions. Some Sundays feature a band playing contemporary Christian music; others feature organ. The liturgy is light, and the sermons are always contemporary! While we only have one worship service a week, we hold five weekly Bible studies (one led by the pastor and four by other church leaders) and offer a variety of family-based programs throughout the year. Visit us any Sunday morning at 10 (9:30 in the summers) or stop by any weekday from 10:30-5; we’d love to meet you! 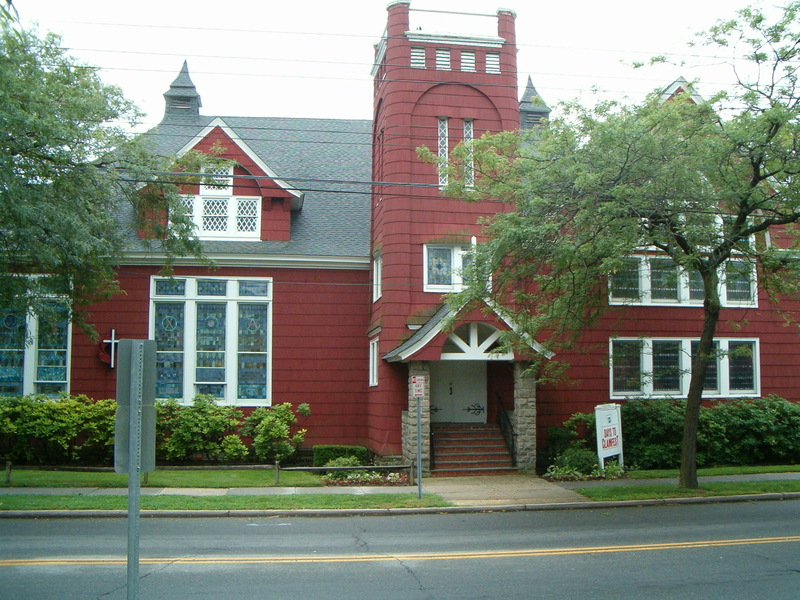 The Sayville United Methodist Church was established in 1833 as a stop on the East Long Island Circuit. Regular Methodist class meetings were held on the fourth Friday of each month at Jonas Newton’s home in what is now Oakdale. By 1838, the village of Patchogue had become a circuit station; Sayville and Blue Point were referred to as “out appointments.” Every other week, on a Sunday afternoon, the assigned minister would arrive on horseback and meet in the schoolhouse with 15 congregants. By 1847, the congregation had grown. A church was built on the north side of Montauk Highway, and services were conducted weekly. The building still exists today. In 1848, the Methodist Episcopal Church of Sayville was organized under the laws of the State of New York as a “religious society.” The Suffolk County Clerk entered the church charter into the record on November 28, 1848. In 1866, Sayville and Blue Point were separated from Patchogue as a new charge, and for the first time a minister was assigned to Sayville. By 1892, the congregation had outgrown the old church. In May of that year, they selected a new site at the intersection of Main Street and Greene Avenue. The old building was sold, but the bell and heating unit were retained for the new church. The cornerstone was laid in November of 1892. The structure was dedicated in August of 1893. The exterior is basically the same today as when it was built from the designs of the Sayville resident and architect Isaac Green. There is one exception; in 1938, during the “Great Hurricane,” the steeple was struck by lightning and had to be taken down. The interior of the church has seen many changes, including the addition of Sunday School rooms and a new organ.